DAMN! he ROCKS that pink! See, now I think the pink clashes with the ginger, but what do I know about hair color not found in nature? I think blue would've worked more for the eye popping. Either way, you can't homely up this boy! 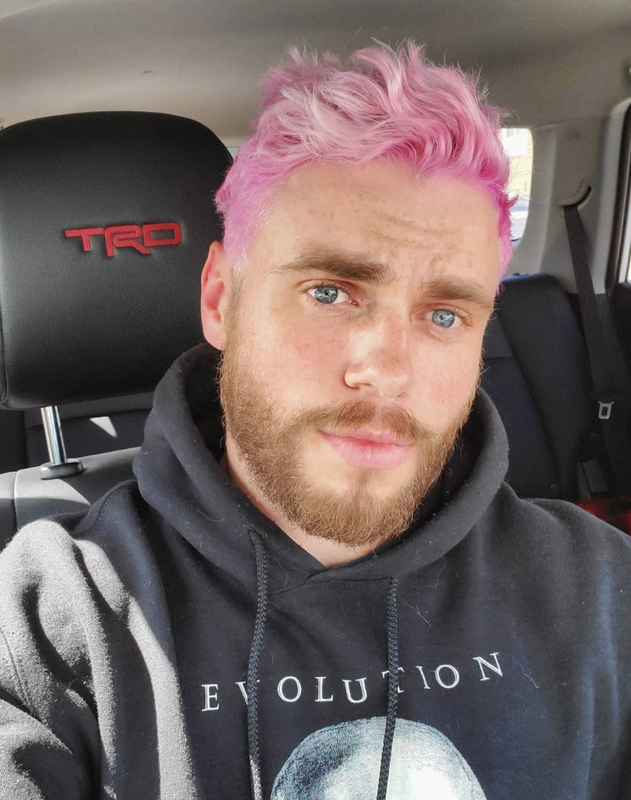 I don't think I've ever seen a man sporting pink hair. Good for him. I suppose 'his' vs. 'her' colors are becoming less discriminative.